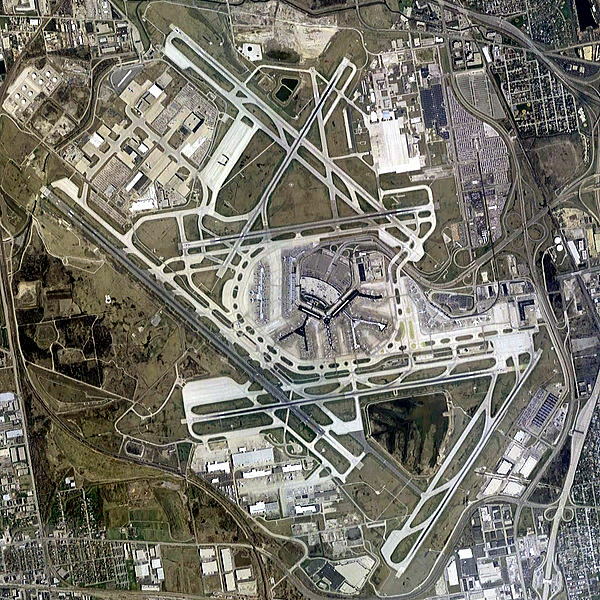 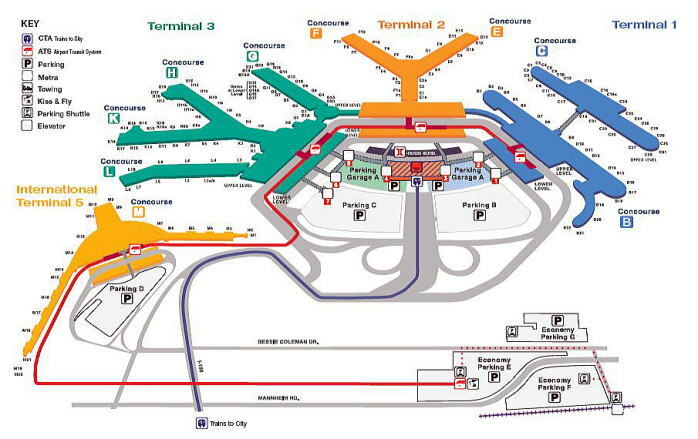 O'Hare International Airport is a major airport located the 27 kms northwestern area of the Chicago Loop, Illinois. 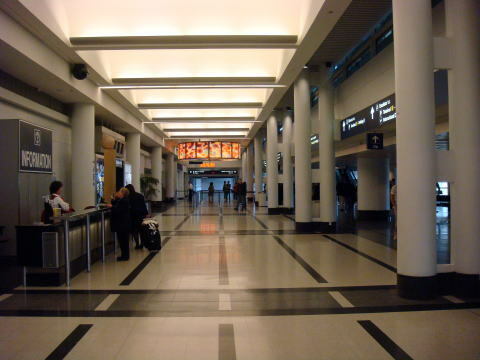 is the second busiest airport in the world, with nearly 70,000,000 passengers passing through the airport in 2008. 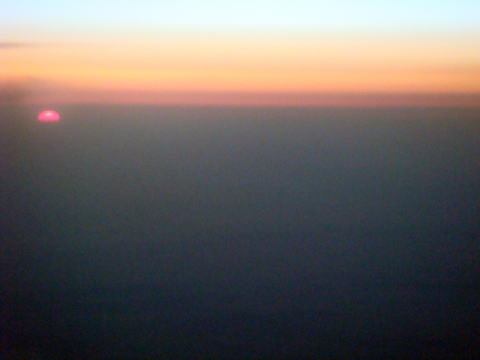 (L) A dawn over the North Pacific Ocean. 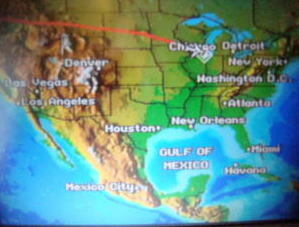 (R) A display of air route to Chicago in the air cabin. 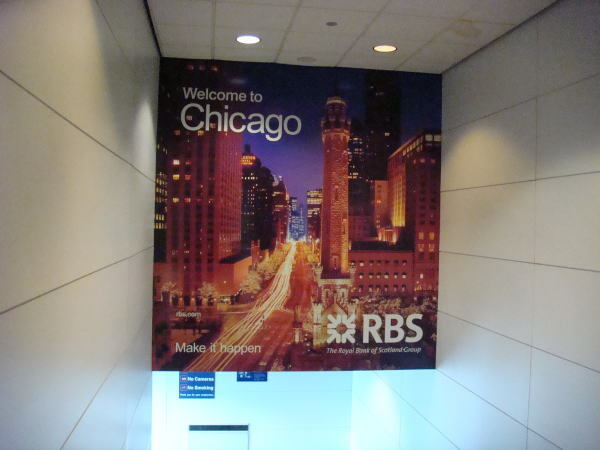 Welcome to the Chicago sign board at the custom lobby of the O'Hare International Airport. 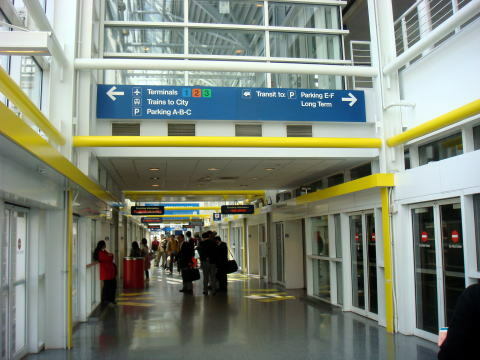 (L) The passageway in the terminal buildings. 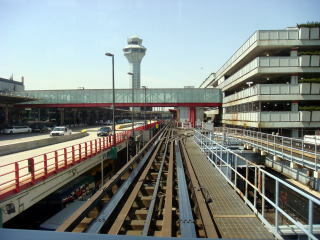 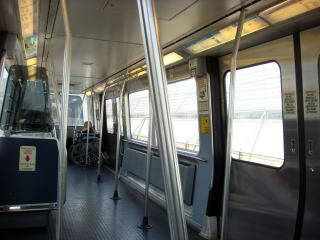 (R) The Airtrain station in the terminal. 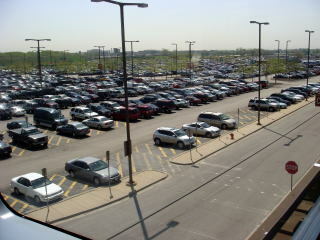 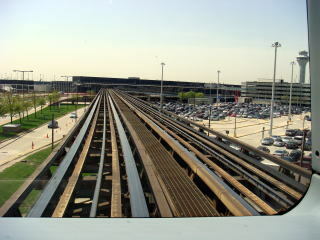 An Air train links Terminal 1, 2, 3 and 5. 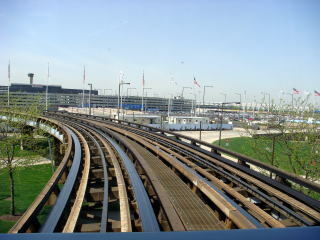 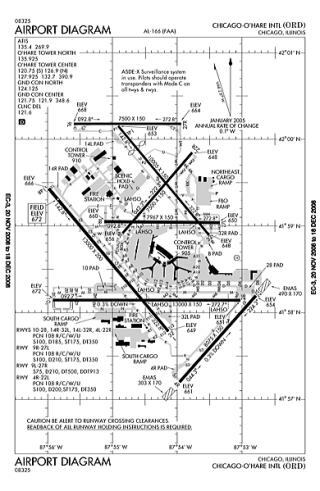 The route map of the Airtrain and the diagram of the O'Hare International Airport. 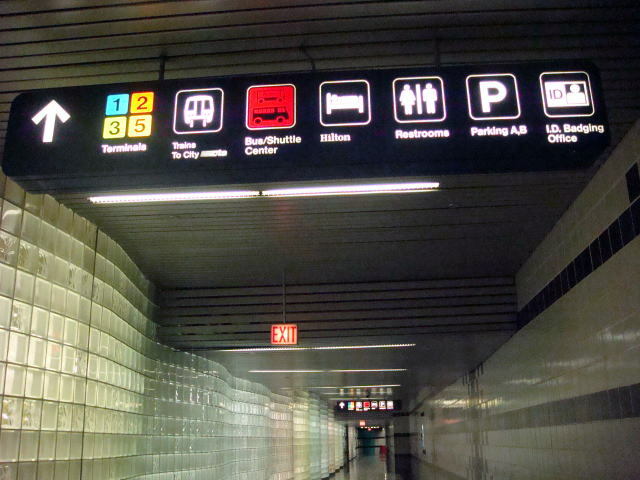 (L) A passageway to the train station to the City. 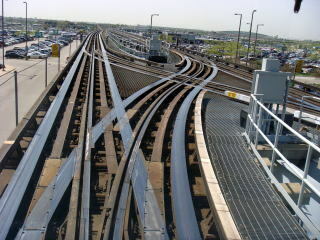 (R) An automatic bending machine for a CTA train ticket. 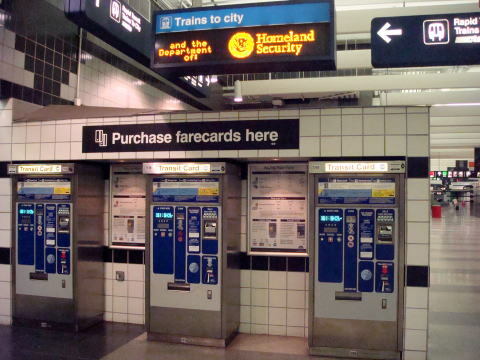 A passenger cannot purchase a visitor's pass here.